Production from oil sands currently comprises 59 per cent of western Canada’s total crude oil production. In this forecast, oil sands production rises from 1.6 million b/d in 2011 to almost double at 3.1 million b/d by 2020 and 4.2 million b/d by 2025 and 5.0 million b/d by the end of the forecast period in 2030. If the only projects to proceed were the ones in operation or currently under construction, oil sands production would still increase by 54 per cent to 2.5 million b/d by 2020 and then remain relatively flat for the rest of the forecast. This means that approving the pipeline means allowing the growth in production from the Tar Sands. And that growth is something that none of us should support. Here is why. 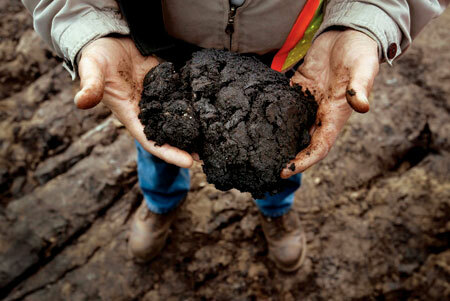 Oil + dirt = tar sands. First of all, the Tar Sands are a very real threat to our climate. Because of its unconventional state (basically oil mixed with dirt), Tar Sands oil can’t simply be pumped out of the ground. Instead it has to be dug out of the ground (2000 kg = 1 barrel of oil) then heated (by burning natural gas). As a result, the average greenhouse gas emissions for extraction and upgrading of tar sands oil is 3.2 to 4.5 times higher per barrel than conventional oil. In addition, you have to consider the fact that the Tar Sands formation is huge and contains a lot of oil. Now, some would claim that to be a plus. However, if we were to burn every single barrel of oil to be found in the Tar Sands formation, it would release enough carbon dioxide to increase the global temperature by 0,42 degrees Celsius. This makes the Tar Sands a direct threat to the stability of our climate. Looking down at the Alberta Tar Sands. Following the Athabasca river (in the middle), the site is more than 60 km long. In addition, the Tar Sands are also a direct danger to our fresh water. This is because it has to be cleaned before it can be of any use. That is done with fresh water from the Athabasca River. On average, producing a barrel of oil requires the use of 3 to 5 barrels of water. 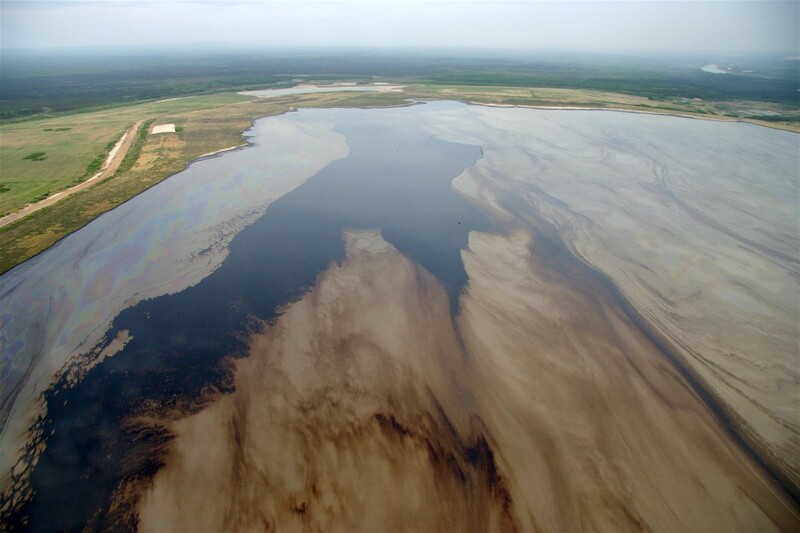 When added up, water consumption from the Tar Sands reached 170 million cubic meters (the residential water use of 1.7 million Canadians) for the year 2011. What you are looking at are tailings. 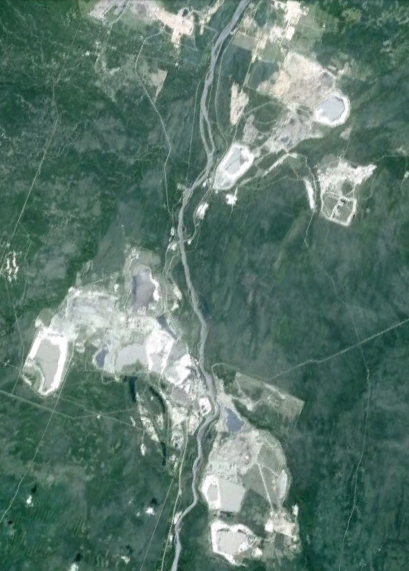 Tailings are toxic and there is no technology that exists to clean them up. As a result, they are accumulated, at a rate of 200 million litres per day, in massive, unlined tailings ponds. Tailings pond. Image: David Dodge, Pembina Institute. 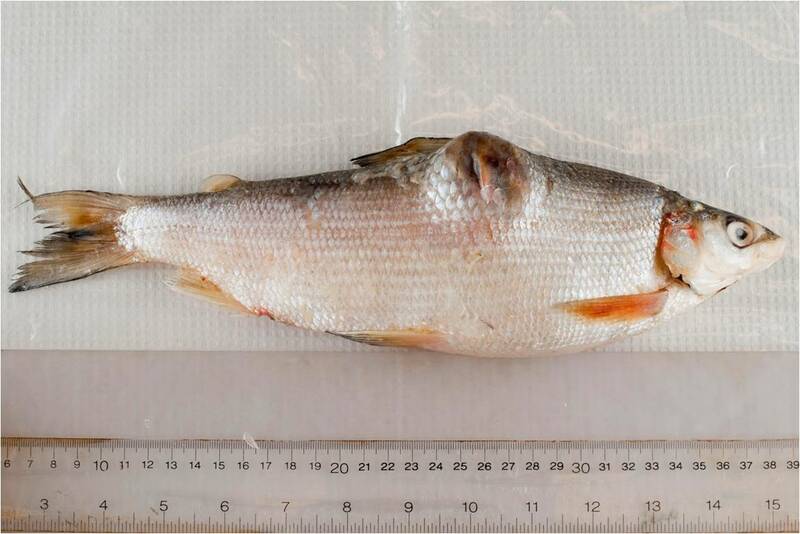 And why would the First Nations people of Fort Chipewyan, who depend on that ecosystem for their food and water, be dying of cancer at higher rates than normal? We should all be against the Alberta Tar Sands. And that is why we should all be against the Keystone XL pipeline. This makes the Tar Sands a direct threat to the stability of our climate. Politicians aren’t interested in climate stability. They’re interested in economic ‘stability’ (read: perpetual growth). Their only interest in the environment is as a resource to be mined and trashed. Hopefully, someday soon, we’ll start putting a price on the work that nature does for us. When you mentioned that they have to use natural gas to heat the tar sands up in order to separate oil from dirt, it might have been a good point to mention that the energy return on energy invested (EROEI) for tar sands is 5 to 1 instead of 25 to 1. This means it takes five times more energy input to get the same amount of usable product out of tar sands. To put it another way, processing tar sands into crude oil is five times less efficient than the process used on conventional hydrpcarbons. Deep sea oil and shale gas are not much better, that is why the price of oil is only ever going to go up (and the fact that demand is much greater than supply does not help). Therefore, even if we were not causing climate change, I think we would be mad to keep throwing good money at this 19th Century energy source. Thank you very much for adding this information. I didn’t know (until now!) what the exact EROEI was. One more reason not to support this stuff! EROEI is between 4 and 5 times less than conventional hydrocarbons – depending on site specific factors, but I am sure you can easily find much more detail on the Internet. Which explains why carbon emissions during extraction are so much higher than conventional oil. Thanks for highlighting the consumption and pollution of water in this process. I was not aware of the scale of this problem (but am not surprised to learn of it). This truly is an appalling legacy that we are leaving for future generations to sort out. I am sure they would not be allowed to do this if the mining areas were near to big cities. Any containment failure will be catastrophic. This level of abdication of responsibility and/or environmental vandalism makes the creation of tar pits as part of 19th Century coal gasification works on Cape Breton Island in Nova Scotia look like the casual dropping of used chewing gum on the sidewalk by comparison (i.e. still very anti-social and irresponsible). I watched a documentary about mining in Québec with some of my students. And as a result, I can (in some twisted way) see why governments consider that tar sands acceptable. In Canada, we have allowed mining companies to do whatever they want to more than a century. 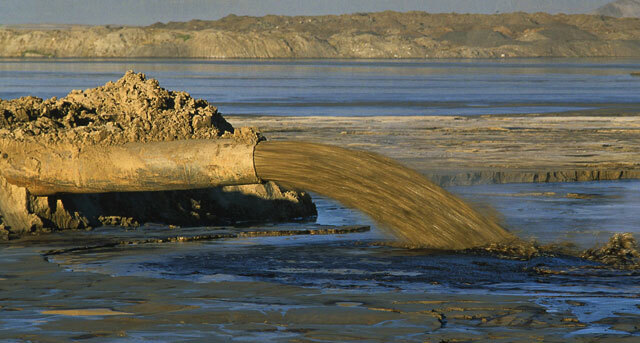 And mining tar sands, in terms of process, is very similar to mining most metals. The scale is just bigger!